Over the weekend Matt and I spent some time doing ‘life-admin’ including decluttering old files and filing away newer documents. All a bit dull, but, the reason I even mention it on here is that we came across newspaper clippings, photocopies and other miscellaneous items which we’d filed away for safe keeping some years ago and completely forgotten about. On two folded sheets of A4 we came across ‘Elbulli’s philosophy’ - 23 points identified and written down in 2005 by, I imagine, Ferran Adrià (and team). I’m guessing Elbulli needs little introduction, but if so, see here. Matt and I have always found inspiration in cooking. It’s fair to say that our style is much more accessible than that of Elbulli in technical terms - wholesome, hearty and simple dishes centred around high quality ingredients. The old fashioned stuff I suppose. But the more experimental styles of cooking, where food meets art, is interesting to us, and we often speak about our ceramics in this light, discussing clay and glaze materials as if ingredients for a dish, and questioning how someone might experience our pieces. That would be as far as the somewhat tenuous comparison goes I’m afraid. You’re unlikely to find highly ironic elements to our pots, there’s no deconstruction and certainly no foam! But I am so intrigued by Elbulli’s synthesis, and thought I’d share with you some of my most favourite and transferrable points from the list, from which I think most creatives can take from. I am always interested in this subject. For many potters there seems to be a common pursuit for conformity to the traditional ways, to using local clay and firing in a wood kiln in a remote rural location, for example. There is a hierarchy of tradition in this sense. But tradition, whilst important, doesn’t always mean quality. 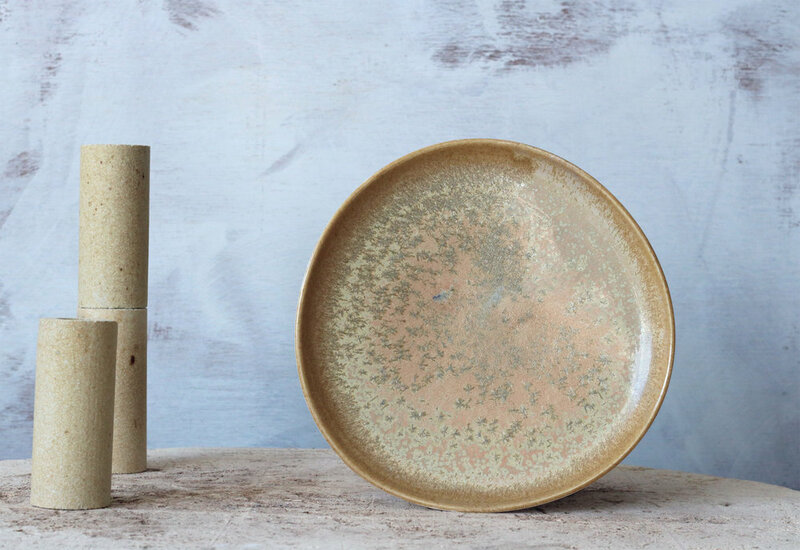 But potters such as Lucie Rie, who worked in a small inner city space, fired in an electric kiln producing some extremely innovative pieces - it’s a good example of progress. I am intrigued by industrially produced ceramics. Both Matt and I long to visit a ceramics factory, I’ve heard tell of huge kilns which fire in no time and magic pieces of equipment. To me, industrially produced ceramics is completely different to the type of hand-thrown ceramics we make - a completely different process - but I believe this setting can be a great resource too. One can have all the ideas in the world, but translating that into a material object, yet a lone a ceramic piece, is a different beast, and something i am only just beginning to comprehend now after 5 years of working with ceramics (which is no time in this craft, believe me). I am prone to having a lot of ideas, many of which are completely unfeasible, whereas Matt tends to develop ideas with a methodical and technically-minded approach. Both ways are valid (and complementary!) but one without the other is not much use. Using local clay and local glazes is something we’ve started to do, but there are very physical constraints with this such as quantity available, firing temperatures, and so on. But with constraint, creativity can usually be found, and meaningful pieces can be made. I am inspired by food culture in this way, that by, for example, using a certain ingredient from a certain place can keep a culture and a process alive. It is so inspiring. In some ways pottery is a solitary craft. At least it can be if you so wish. For us it is less so. And the more time we spend together in the studio the more creative our ideas are. This past month we’ve been enjoying working with another ceramicist, Carla Murdoch, who has been helping us with various studio tasks to help with workload, but as well as this, having another member of the team prompts conversation, ideas and ways of thinking which is so valuable to our little studio.